The boots are a great fit, run true to size, secure the feet and leave space for some thick socks. The arch support is good as is the protection against blisters and hot spots. There is protection for your income as well, since they come at a very good price. The boots follow the recipe for successfull boots: warm in the winter, dry in the summer, comfortable, versatile, and sturdy no matter what the trail conditions. 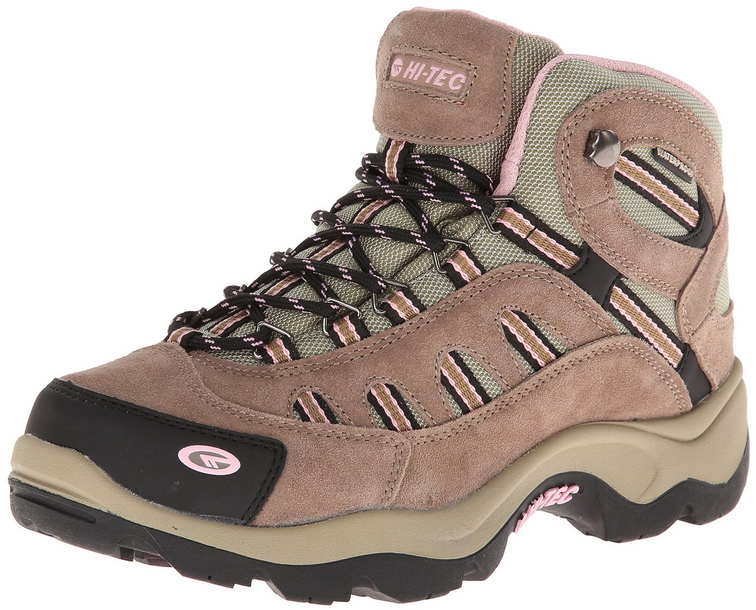 When hiking boots for women actually act like boots and actually look like designed for women! they are waterproof. I stepped in puddles so often, in snow, and not even once my feet got wet. 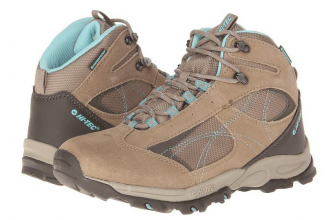 I am a Hi-Tec fan and I have always liked the style of these boots- I mean, they really look Hi-Tec and overall pretty nice! My daughter is always asking to borrow mine, so that’s something! I like these boots not only for their style, but also because they are a great fit and come true to size. The boots are tight enough to secure the feet and leave enough room for you to put some warm socks. These are long lasting boots and they feel durable as a boot, but look like nice, comfortable tennis shoes. The boots give good arch support and give me confidence when I hike. I also take them daily at work and not even once they gave me blisters or sore feet. The materials of these boots are high quality and the price is very good also. I also absolutely love the nice pink trim of the boots. They have good padding overall and give support and comfort. I used to have bunions (I got rid of them meanwhile) and the boots never gave my any pains around the sensitive areas. In the wintertime, the boots keep my feet warm and dry, no matter how wet it gets around. The traction on these boots is good and sturdy and, no matter what the weather conditions, my feet are dry, comfortable and at a constant temperature. Also, even if my hiking trails get rocky, the boots are still comfortable to wear and shock-proof quite well. On the other hand, the boots feel a little bit heavy and I needed some time until I got used to their weight. I think the boots are too wide and too long. They fit me just right, but my daughter has some problems when wearing them. You do need to have wide feet in order for these boots to fit you perfectly… So they are not for the narrow feet, for sure. In the beginning, the boots were quite stiff but that changed for the better in time. All hiking boots need some break in time. As my feet are flat, I need to use inserts for these boots- but that’s not a drama for me as I do it for all my shoes. The arch support for these boots could be improved. 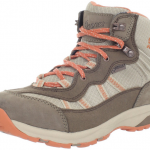 All in all, these boots are looking so stylish, are very comfortable, sturdy, waterproof and come at a great price. They could have a better arch support, but this can be solved with some inserts. 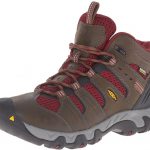 I like their colors a lot, the confidence they give me while I hike and I would buy them once again!